If we are connected through Instagram you may have noticed I cut down and off some things in my daily nutrition. It started with some health issues some weeks ago. I had stomachache, felt sluggish and was in a bad mood all the time. I guess it was caused by stress I had at that time and you maybe know my stomach is my weak point. But when it became a little calmer I still didn’t feel very good. So I started to cut down my intake of refinded sugar and dairy products, which I have never tolerated very well, especially in great quantity. That’s really hard for me, because I love butter, cream, yogurt and cheese. So if you cut these things you eat less cakes and bread automaticly. And because I felt so much better without eating wheat, I cut off all grains, which contain gluten. What started as a trial becomes more and more a fixed part in my life, because I have a better well-being since that dietary change. But for sure I am not going to make that to a kind of religion or something like that. Of course, It won’t kill me to eat handmade pasta, oven-fresh bread or a really well made creamy dessert from time to time. Actually, I am not a big fan of ordinare milk pudding or all that kind of custard which are just cooked with cornstarch (particulary the store bought stuff – ehhh! ), they don’t really have structure or depth of taste. But I am a huge fan of Crème Brûlée. The compostion of different textures, delicate vanilla cream and crunchy caramel layer, makes this classic french dessert so lovely. 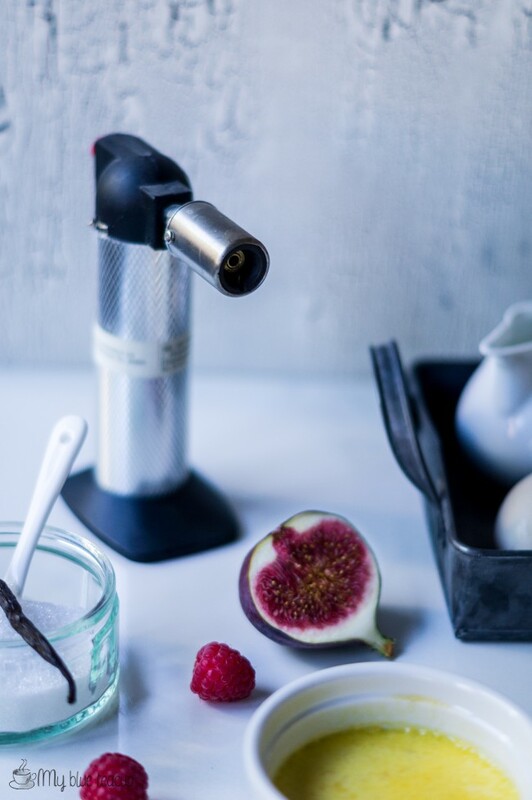 So before I come to all the gluten, dairy and refinded sugar free… hm let’s say a little healthier christmas recipes (Come on, christmas without at least a little bit real butter and white icing? 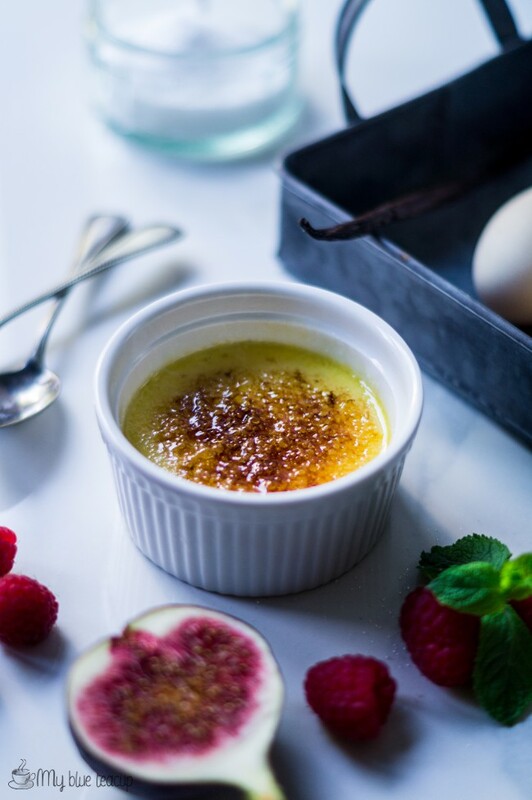 – I don’t go that far 😀 ), I want to show you my favourite recipe for Crème Brûlée. A classic dessert which would be definetely also a perfect dessert for your christmas menu. In a small pot, mix heavy cream, millk, vanilla pulp and bean and bring it over medium heat to a boil. Remove from heat and set aside. Beat egg yolk and sugar until it thick and lighter. Pour the liquid in a thin stream into the eggs in a thin stream, wihle stirring continually. Let rest for about one hour. 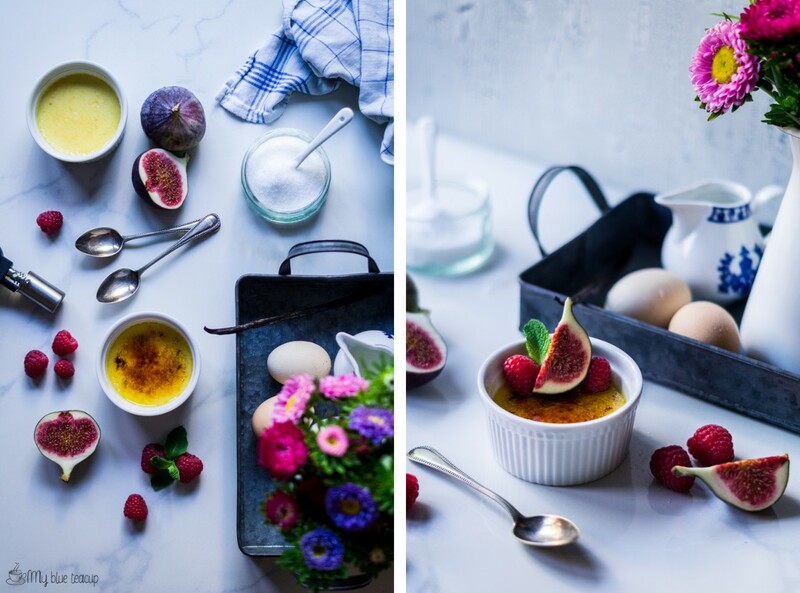 Preheat oven to 150° C.
Fill into 4 small ramekins and place the ramekins into a baking dish. Pour hot water into the baking dish until about halfway up the sides of the ramekins. Bake for about 35-45 minutes. Remove ramekins from the baking dish and let cool down until room temperatur. Then let chill in the fridge for at least 4 hours. 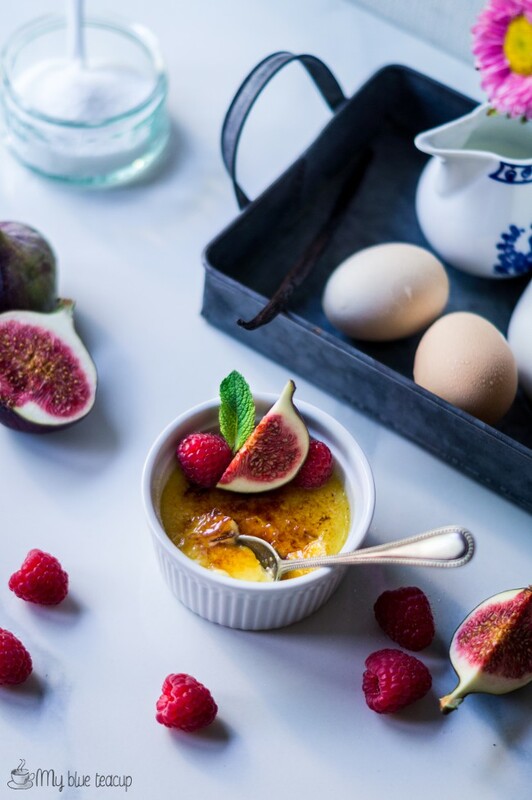 Before serving sprinkle the surface of the crème with sugar generously and by using a torch melt the sugar until it is melted and golden brown.